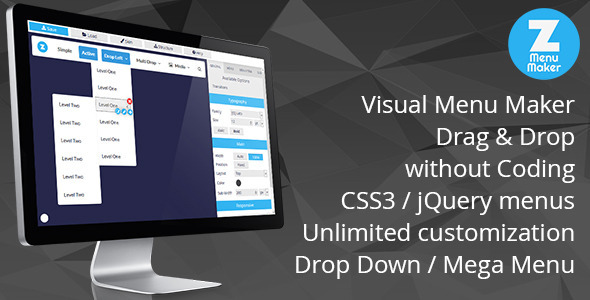 Z Menu Maker – is a visual menu maker w/o coding. Creating a menu that you want, there has never been so easy. Start with 7 predefined skins and make your own.